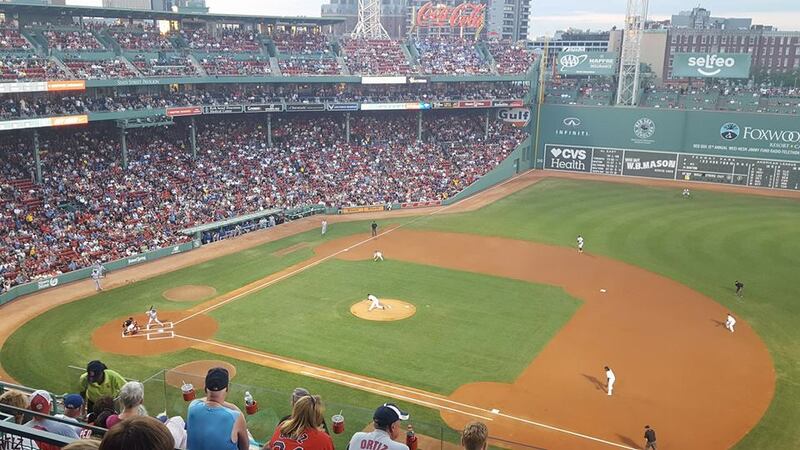 There are few sites in professional sport that are as much aligned with sport heritage, heritage sport tourism, and sporting pilgrimage as Boston’s Fenway Park, home of the Red Sox baseball club. The stadium opened in 1912, sells-out virtually every game, has a quirky, unique design (particularly the large, left field wall known as the “Green Monster“) that has inspired the design of numerous contemporary stadium design features – and even several replicas at the minor league level, attracts hundreds of thousands of visitors on non-game days and in the off-season (making it one of the most visited tourist attractions in Massachusetts), and is listed on the National Register of Historic Places for its age and design, links to baseball history, connections to New England identity, and role as a “muse” for numerous literary and artistic works. Even some of the areas surrounding the stadium – such as the prominent “Citgo” sign over the outfield wall – are considered part of the heritage infrastructure of Fenway Park. In terms of its role in sport heritage research, Fenway Park makes numerous appearances – most notably in the work of Michael Friedman, who looks at how sport heritage has been created and marketed at Fenway as well as how Fenway has actually borrowed features from retro ballparks like Oriole Park at Camden Yards in Baltimore (particularly in the creation of Yawkey Way outside of the ballpark, which is based off of Eutaw Street in Baltimore). My purpose for going to Fenway Park, aside from the fact that I had never been before, was as part of a long-time promise my brother and I made to our father to one day take him to see a game at the stadium. My father isn’t a Red Sox fan, my brother doesn’t follow baseball at all, and I am a Toronto Blue Jays supporter – a division rival of the Red Sox. However, going to Fenway was, in truth, on all of our sporting “bucket list” in large part because of the stadium’s infamy. 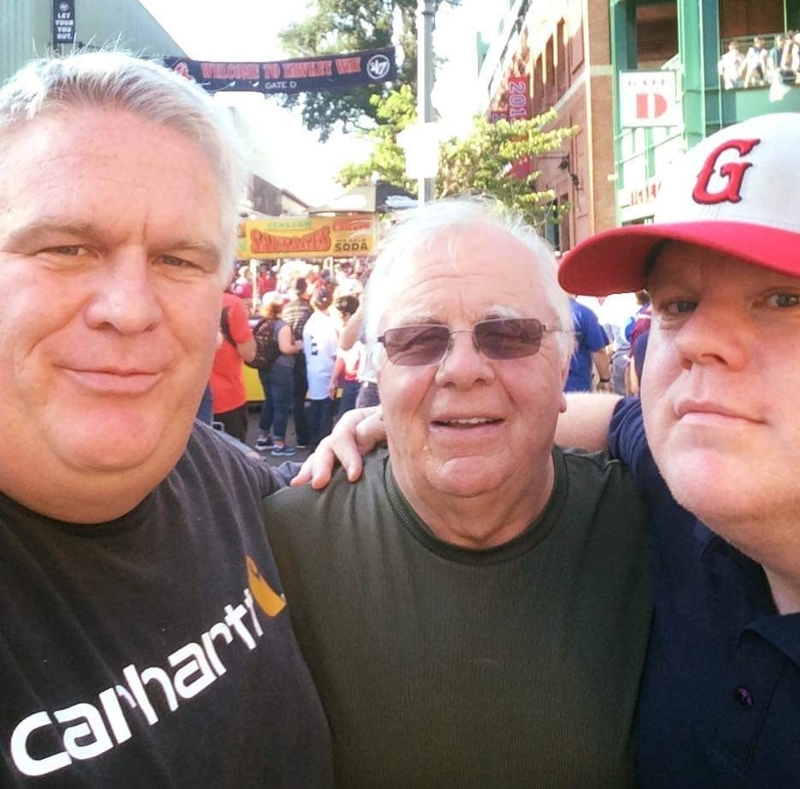 As such, we finally fulfilled our promise to take our father to a game, an August 27, 2016 matchup between the defending World Series champion Kansas City Royals and the hometown Red Sox. And yet, despite a long-held antipathy for the Red Sox and many of their fans, it was hard not to feel that Fenway is a very special place. Certainly, much of this feeling had to do with who I went to the game with – the experience was made that much more special because it was a family pilgrimage. The heritage of the venue also made it special. It wasn’t just going to a random ballgame at a major league stadium. 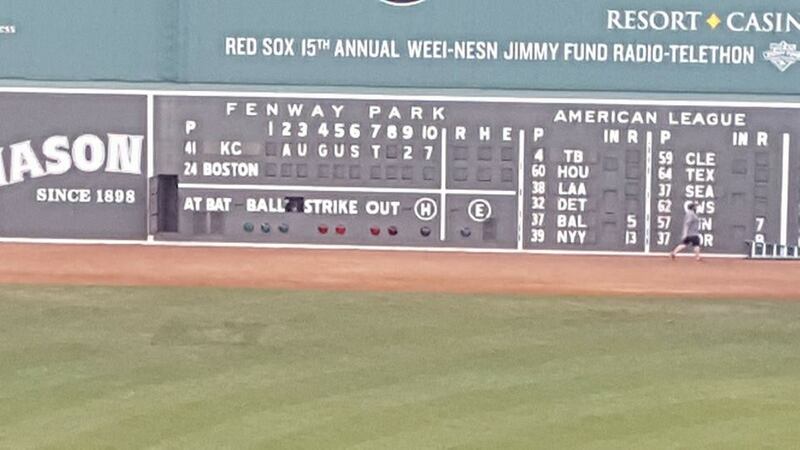 It was going to Fenway with my brother and father. Similarly, I was pleased to see numerous – and almost discreetly-placed – heritage markers throughout the stadium, most of which had to do with changes in design and features (such as when stadium lights were added, or when elevators were installed). In many ways, it felt a little like going to a National Historic Site – that there was a realization that the heritage of the stadium is multifaceted, perhaps not necessarily in terms of narratives but in terms of approach. I think this reflected what the National Register of Historic Places designation set out to do – Fenway is not just an old ballpark, it is a symbol and a conduit between past and present. Finally, it was just fun. I have been to many ballparks throughout the United States and Canada, and few gave the feeling of both gravitas and the sense that every game was an event like going to Fenway Park. Going to a game at Fenway just feels special, and that you are dipping a toe in a river of baseball lore that existed before you and will continue long after you are gone. I can’t say I’ll become a Red Sox fan anytime soon, but I’m already planning my next trip. By Gregory Ramshaw in baseball, heritage, history, sport heritage, sport history, sport tourism, stadium on September 9, 2016 .